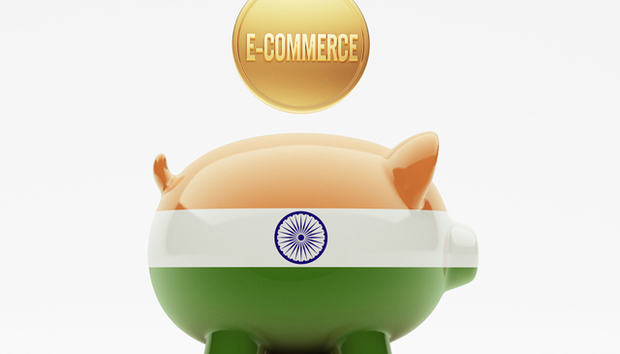 Is Indian eCommerce Growth Sustainable? “Indian eCommerce market to reach $20 billion next year.” Such headlines have become a regular feature in the Indian media. Market speculation is rife and investors, both private and institutional, are in a tizzy. Everyone, from the big players to the small niche online retailers, are gaining from the excitement which is almost bordering on hysteria. When Flipkart, a frontrunner in the eCommerce race, raked in more than one billion USD earlier this year, it raised a few eyebrows. By the time Snapdeal, another big player, snapped up $627-million investment from SoftBank in October, it caused a slight flutter. The Indian eCommerce market had, by then, got used to such deals. But hype aside, some experts are viewing this massive interest in the online retail market as a catastrophe in the making, while others claim that there is a method to the madness. In this scenario, numbers tell their own story. Jeff Bezoz has committed to invest $2 billion on its Indian arm. The numbers are piling up thick and fast. Different figures are bandied around but there is one constant refrain in all of them – the Indian online retail market is attracting tremendous traction. A forecasted growth rate of 13 – 16% with a retail market reaching anywhere between $700-750b in 2015, means the adrenalin is going to keep building up in the coming years. In fact, the retail market is so attractive that venture capitalists, financial institutions and private investors have begun putting their fingers into the retail pie. As a result, online retailers are flush with funds and are ready to splurge on lucky Indian consumers. In July this year, Forbes reported that Flipkart received more than one billion dollars in investment against a valuation of $5 billion to $7 billion. It’s not even four months and it’s speculated that Flipkart is looking for fresh investment of $1.5 billion in 2015. The other e-tailers are not far behind in attracting investments. It’s interesting to note that Snapdeal has attracted investments from business tycoons like Ratan Tata and Azim Premji. These men are certainly not known to put their money in speculative ventures. Premji has invested $100 million in Snapdeal and a further $50 million in Myntra, another e-tailer which has been acquired by Flipkart. Narayan Murthy, a corporate icon has joined hands with Amazon through a private investment firm. There is no lack of interest from foreign investors, who are betting high on the Indian online horse. SoftBank Corp, a Japanese group, has announced its plans to invest $10 billion in the Indian eCommerce market. It has already made a strategic investment of $627 million in Snapdeal and plans to be a majority stakeholder in this online retail company. The Wall Street Journal reported in July that Amazon has promised $2 billion investment in its Indian arm. On cue, Amazon‘s CEO Jeff Bezos arrived in India on a whirlwind tour, making appropriate investment gestures. Amit Agarwal, Country Head & VP, Amazon India says, “We have completed over 17 months of operations in India and received a fabulous response from both customers and sellers. Our total selection now stands at more than 18 million products across 36 departments and hundreds of categories, making us India’s largest online store.” Impressive figures indeed. In addition to the biggies there are many other e-tailers and niche players who are part of the online party. The intense competition among online retailers to garner market share has resulted in unbelievable offers and discounts. In October this year, consumers woke up one fine day and found themselves witnessing a ‘Black Friday’ sale in India. Flipkart called it ‘Big Billion Day.’ People are said to have picked up products almost free of cost. There was a stampede for goodies on offer and many made merry throughout the day. Flipkart reportedly raked in $100 million in sales within ten hours. It would have been a Cinderella story with a fairy tale ending, but for the cries and complaints from unsatisfied customers. When the dust finally settled down, Flipkart’s founders had to personally apologize to customers for their lapses. So ended the ‘Big Billion Day’ with a big bang. Not to be left behind, Amazon went ahead with its own flavor of discounts with its week long ‘Diwali Dhamaka’. Though the response was reported to be tepid, there were no major mishaps during the week. The recent blooper by Snapdeal with their ‘Savings Day’ sale is another indication that the Indian online retail scene is likely to witness tumultuous days in the near future. Not everyone is on a discount binge. Ganesh Subramanian, Chief Operating Officer of Myntra, says, “I cannot comment about other companies but we look at discounting very differently. While we do offer promotions, these are only on select products which are at the end of its season, while a majority of our inventory is sold at MRP.” Ganesh adds that they focus on customers and not so much on the competition. Online fashion retailer, Myntra, has been recently acquired by Flipkart. Is this another dotcom bubble in the making? The frenzy seen in the Indian online retail segment is reminiscent of the dotcom era when everyone handed over their hard earned money to wannabe tech coders with the hope that they would become billionaires overnight. Instead, everyone lost their shirt when the bubble burst. The euphoria was such that even smart investors got duped. In those days no one dared to question the sacrosanct dotcom business proposition. Though there are similarities, at least the online retailers are dealing in physical products. Evidently, the big e-tailers are burning a massive hole their pockets, confident that they will cash-in at a later date. Apparently they seem to have a business model in place. The online retail market in India also looks promising if the stupendous success of Chinese online retailer, Alibaba, is seen as an example. Both India and China have a similar demography and consumer base. Ultimately, those who manage to balance discounts with a focus on growth and market share are likely to survive. Success will also depend on how deep their pockets are and how fast they manage to burn their cash. Till then, we can only watch from the sidelines, while the game is on.